Some of the wall ovens have been improperly installed and/or have damaged flexible gas appliance connectors, posing a fire hazard. BlueStar; at (800) 449-8691, from 9 a.m. to 5 p.m. 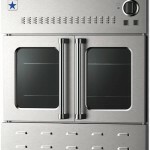 ET Monday through Friday, or online at www.bluestarcooking.com and click on “Recall” for more information. This recall involves all colors of three models of BlueStar gas-powered stainless steel wall ovens manufactured prior to November 23, 2012. 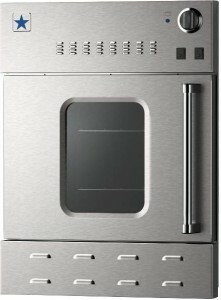 Oven sizes include 24-, 30- and 36-inche wide units. Each of the three sizes was available for use with natural gas or liquid propane. The propane version is designated by the letter “L” at the end of the model number. Model numbers and date codes are located on the rating plate inside the control panel. 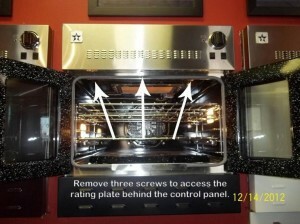 There is a BlueStar logo on the upper left front of the oven, above the door. The firm has received one report of a fire, resulting in property damage to the cabinet that held the oven. No injuries have been reported. Consumers should immediately stop using the recalled ovens, contact BlueStar for instructions on identifying affected units and to schedule a repair. Appliance stores and authorized kitchen equipment dealers nationwide between January 2008 through November 2012 for between $2,250 and $3,900. Prizer Painter Stove Works Inc., of Reading, Pa.